We collect stories and reports from artists who are so kind to share their artist-in-residence experiences with YOU. Rochester Translation Residency is like “A Start-up Incubator". Are we looking at the same moon ? Erik van der Weijde, an artist who works in the mediums of photography and self-publishing, was earlier this year on a residency at Arts Initiative Tokyo supported by the Fonds BKVB, Holland. Who: Peggy Franck - When: Summer 2010 - Where: Künstlerhaus Bethanien. An interview with the TransArtists team. An interview with GJ de Rook at the the Chinese European Art Center in Xiamen, China - Published in the Air Collections Interviews. I am a multidisciplinary artist living and working in Montréal, Québec. My artworks are primarily drawn images or photographed spaces that I manipulate by means of various techniques such as screen-printing, pyroengraving and mixed techniques so to outline and build a portrait of the places I explore and the experiences I want to share. In 1985, Seattle philanthropist Nancy Nordhoff bought a working farm overlooking Useless Bay on Whidbey Island. The land became Hedgebrook -- one of the few residency programs in the world exclusively dedicated to supporting the creative process of women writers. This Art Zone special tells the story of the rural retreat on its 25th anniversary. Residency experiences of writers at Passa Porta (Belgium) - in video! a-n News and Blogs: Visual artists and curators discussing their practice and experiences through personal blogs about the projects they’re working on, as they happen, wherever they happen, enabling comments from other artists. A great resource from a-n The Artists Information Company. 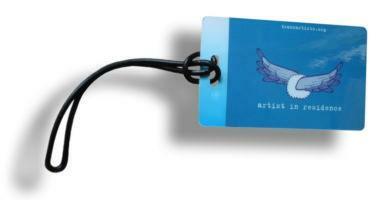 Filter the a-n website with the tags artist residency and residency to find all latest articles!